Who hears our calls? Who comes when we beckon? When we cannot seem to get off the island we call our body and soul? Who finds us? The remnants we leave behind everywhere? And in times of need, who comforts us? Amidst the sometimes silent cries we weep unbeknownst to the world? We often weep alone. We often suffer alone. We often do so many human conditions alone. The mere fact that we expereince pain and emotions of similiar arrays doesn’t seem to necessarily connect us to each other or help us reach out when the pain feels like a blanket around us. So then it can sometimes seem that we in fact are an island encapsulated in our own grief at times – surround by masses of water and the great unknown. But within this aloneness, can we still find those who gather us and tend to us, who mend us, and help us become whole? 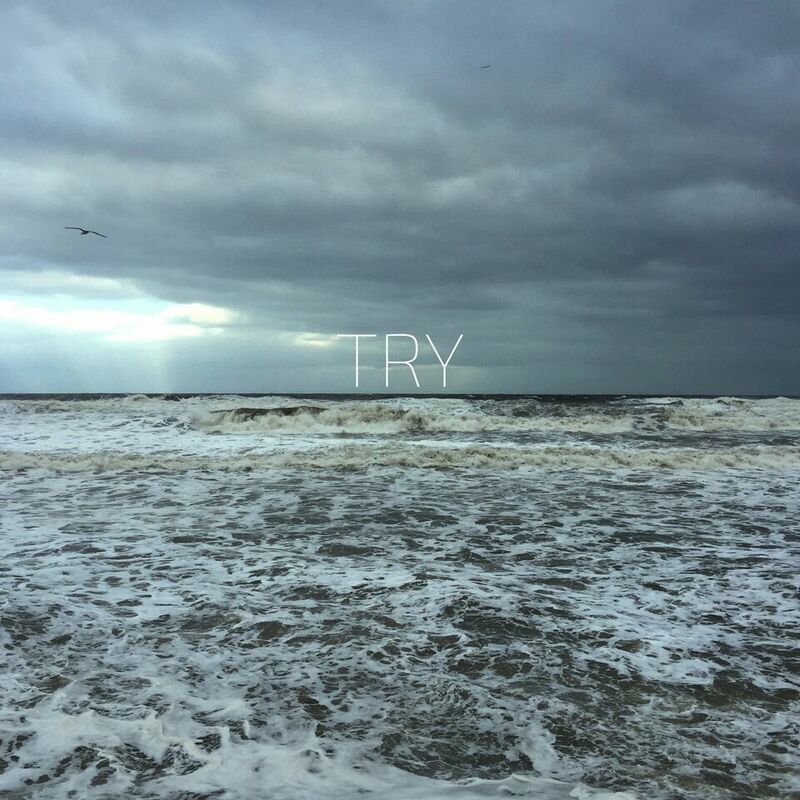 Toni Sidgwick explores this in her latest video for her single Try. Beautifully shot and so elegantly directed it is in fact a piece of art. It’s an immense scene. Vast skies, horizons without end, and coasts for lengths unknown. A gorgeous and picturesque look into a troubled man sitting on a beach drinking liquor and in palpable angst and turmoil. He holds a notepad and paper writing intently. He struggles to find the words, he struggles to write what it is he’s trying to say. Once done, he finishes the whiskey and puts the note in the bottle. Out into the sea it goes adrift. It may have been a longshot but he sent out an S.O.S..
Toni finds the bottle. Opens it. The man is far removed, somewhere and long gone but the note is still there. She reads it. The last shot shows the beach moving further and further away until we realize they are on a very small island. It’s quite powerful. We must find our own way, but there is most certainly help there along the way.